Heat non-stick skillet over medium heat. For filling, combine 1 cup Cinnamon Vanilla Bean Almond Butter, 1/2 cup pumpkin puree and 1 tsp pumpkin pie spice, then set aside. Whisk eggs, almond milk, vanilla, 1 tsp cinnamon and 1 tsp pumpkin pie spice in a bowl. Build stuffed french toast by spreading 2 tbsp pumpkin almond butter filling on 1 slice of bread and top with another slice of bread. Coat in egg mixture on one side, then flip and coat on the other side. Cook in non-stick skillet over medium heat until golden brown on both sides. Repeat. 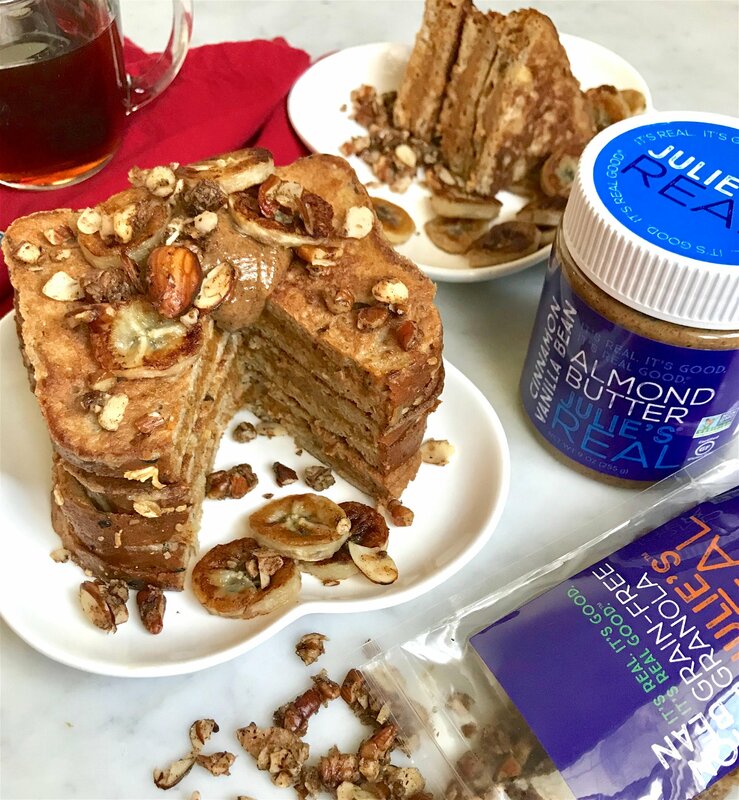 Top with sautéed bananas, Cinnamon Vanilla Bean Almond Butter, maple syrup and Julie’s Real Cinnamon Vanilla Bean Grain-Free Granola for the perfect breakfast treat!